Product categories of Reflective Heat Transfer Vinyl, we are specialized manufacturers from China, Vinyl Heat Transfer, Reflective Heat Transfer Vinyl Film suppliers/factory, wholesale high-quality products of TPU HTV Film R & D and manufacturing, we have the perfect after-sales service and technical support. Look forward to your cooperation! reflective Heat Transfer Vinyl Film for sublimation is made of environmentally friendly materials and precision coating technology. 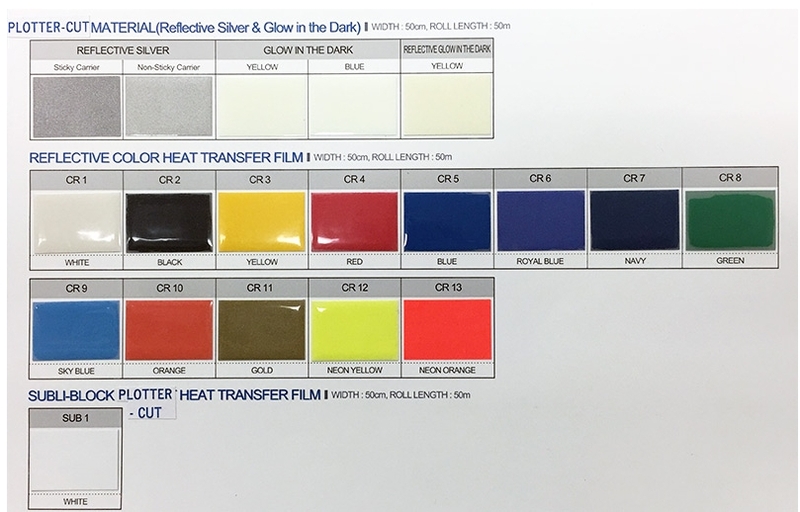 reflective htv vinyl film is used in basketball clothing, football wear and other sportswear numbers, LOGO, pattern printing, but also as outdoor clothing bag mouth protection and functional decoration, to provide more fashion design elements. Using cutting machine or laser to carve.